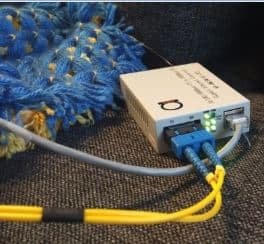 75/120 Ohm impedance matching baluns (G703 balun) allow users to use inexpensive shielded twisted pair cabling in place of expensive coaxial cabling. Especially useful in telecommunication applications for patching at the distribution frame. Units meet CCITT Recommendation G703 and are great for American or European applications. Supporting E1 data rates to 2.048 Mbps, the AN-IC-M receives 75 ohm signals and converts them to 120 ohm for transmission over a network or reception by a CPE. The signals output by the AN-IC-M are scaled to match the pulse shape requirements specified by the CCITT G.703 standard. The AN-IC-M can perform 120 ohm to 75 ohm signal conversion as well, giving the device a dual role. 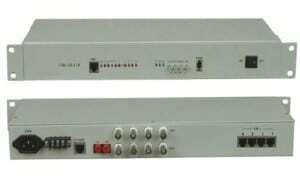 AN-IC-M has mettalic casing and BNC/RJ-45 connectors are located separate sides, whether the AN-IC G703 balun version has plastic casing and same side location for BNC & RJ-45.